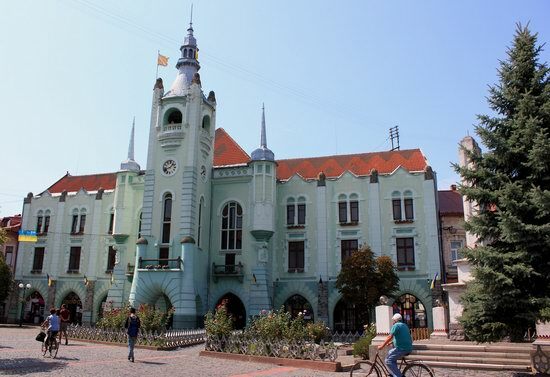 Mukachevo is a town with a population of about 86,000 people located in the central part of the Zakarpattia region, 41 km south-east of Uzhhorod. The town has a high tourist potential for both Ukrainian tourists and foreigners. 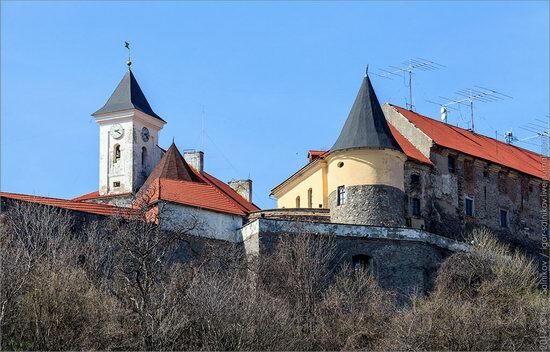 Ukrainians like to come here to visit the Palanok Castle, St. Nicholas Convent, as well as the town center with its paved streets and cozy cafes. Photos by: Igor Golovach. 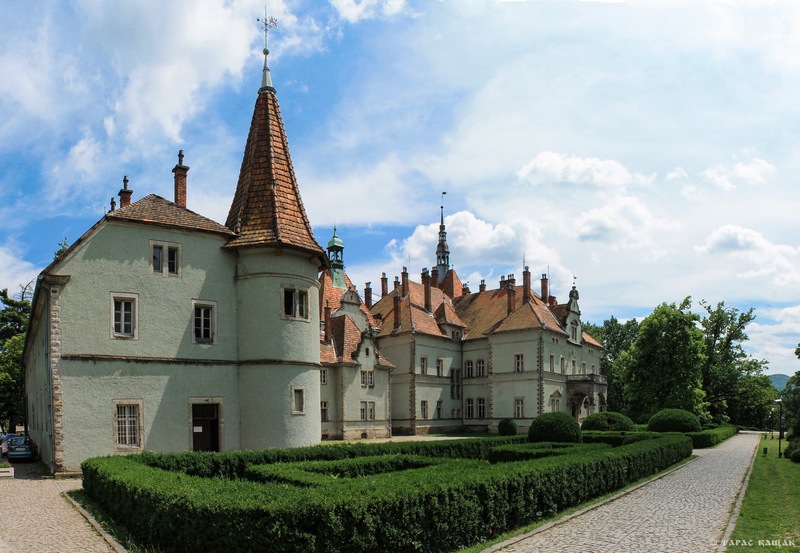 Schonborn Palace, the former residence and hunting lodge of the Counts Schonborn and the sanatorium “Carpathians” (since 1946), is located near the city of Mukacheve in the Zakarpattia region. The palace was built by the Count Erwin Friedrich Schonborn-Bukhgeim in neo-romantic style, combining Romanesque and Gothic motifs, in 1890-1895. An elegant hunting castle-palace of the Counts Schonborn is located 10 km north-east of Mukachevo, in the Zakarpattia region. In 1728, the Austrian Archbishop L.F. Schonborn received the vast land near Mukachevo as a gift from Holy Roman Emperor Charles VI. The new owners chose a picturesque Beregvar tract for hunting and built a wooden hunting lodge. 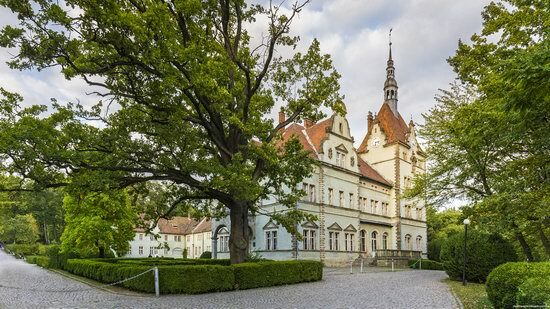 In 1890-1895, E.F. Schonborn built a beautiful stone castle-palace in its place. Mukachevo is a town located in the center of Zakarpattia region. It is an important industrial and cultural center standing on the Latoritsa River, about 42 km from Uzhgorod. 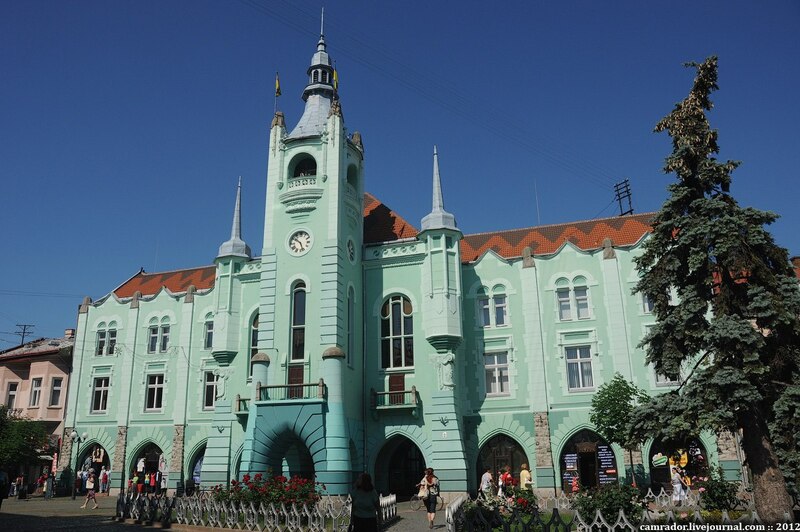 Due to its very convenient geographical location (40-50 km from the border with Hungary and Slovakia, and 90-100 km from Romania and Poland), Mukachevo is a major transportation hub. This relatively small town is worth a visit to see its historic center and castle. Photos by: camrador.